JA Health Advocate™ is an Innovative Natural Health & Wellness Service. We provide Health Transformation that is affordable, through accessible, state of the art science, evidence-based, survivor-ship caring through education, knowledge & skill-building, and advocacy for our clients. We provide both an online Cancer Coaching Survivor-ship Program through our Cancer Info Blogs and via our Private Health & Wellness Coaching for Lyme and other long term illnesses. The process of going through cancer, or Lyme disease treatment, living with long-term treatment, or recovering from treatment, requires support for coping with the many changes that occur in your body and life, and affect those around you, too. Health & Wellness Coaching can make this process easier by taking the time to learn about you, guiding you in the best ways to care for yourself at this difficult time, addressing your individual needs, and giving you personalized attention. A support coach can also explain what the doctor said, what it means, and what you need to do next. We basically offer you virtual hand holding, so you feel more in control of your own Health Transformation. Many people with a debilitating illness find they need help with adding physical activity, healthy eating, managing energy levels, knowing what to expect during or after treatment, and figuring out realistic and attainable goals to have a good quality of life, regardless of their stage of disease or likelihood of recovery. Quality of life includes giving yourself permission to focus on your physical, emotional, social, and spiritual concerns. Our services are designed to complement medical advice, not to replace it. We become part of your wellness team, and can work with you before, during, after, or through ongoing treatment. Yes, it's an addition to your budget...BUT, you won't regret the small investment in YOUR health & wellness transformation outcome. We are available for sessions online, and would really like to connect with you early in your process, so you can maximize all the good research and other information we can share with you. We want you to heal as much as you possibly can, and have many great ideas as shared with other clients, that you can implement to enhance your healing, whether you are fighting cancer, Lyme, or some other debilitating illness..
Are you fed up of debilitating health issues and want renwed health with Health restoration or transformation? ​If you'd like a trusted coach to help you navigate a cancer diagnosis and treatment, or any other chronic, debilitating health crisis, you've come to the right place! I've been where you are...when I found out that my daughter, my only child had cancer. I have advocated for my own health issues and successfully overcame them. But I made it through and so can you. If I can come out on the other side, so can you! If my daughter can come out on the other side with health recovery, so can you. ​A good health coach can help get you over the hump. But you must be willing to do your part, because becoming an advocate for your own health is not easy, but it's necessary. We offer different levels of Health Coaching. Look at our Programs and decide which one works best for you. ​You must feel comfortable in the package you chose. Your time is valuable and your Health is even more important. Our Chaplain will within reasonable parameters, provide a measure of Spiritual Support to anyone who is going through a lifestyle change whether from healthy life change, or from illness. If you are having difficulty with the transition, and require prayer, send us a message via email. If you reach out to our kind Chaplain, you will be placed on the Prayer List, and receive prayerful support for your situation. Rituals will not be accommodated. 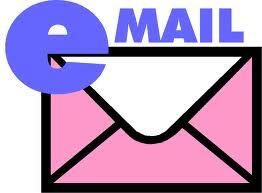 General E-mail support will be provided to VIP Members and Newsletter Subscribers at JAHealthAdvocate.com. Other more involved, or more personal, individualized, and Technical support for individuals who require help with any protocols will be on a fee basis. Donations/Fees will be accepted via PayPal. See our Coaching Program. One of the most important aspects of getting healthy and maintaining a new, different, healthier lifestyle, involves eating right. It is mot just good to eat good food, but it's most important to eat good foods, right. Based on your health status or illness or disease status, you may undoubtedly NEED to modify the way you eat or what you eat. We are not Registered Nutritionists, but we have made available a Nutrition, Meal Planning Service, that will support you on your wellness quest. ​We will not recommend any service that we have not used ourselves. That is how we know that services, we ourselves cannot supply directly, can be beneficial to you. ​Let's keep the information flowing. Any amount helps. Thank you.